Play areas for young... and old! 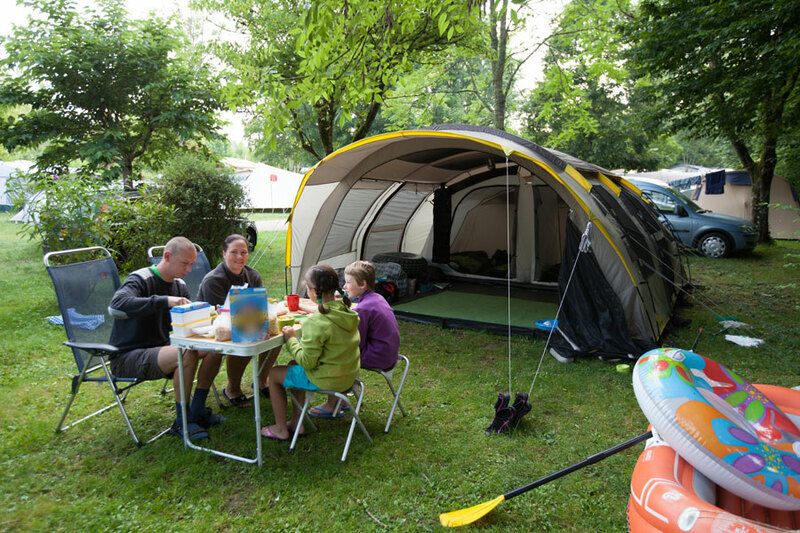 Our 3-star rated family campsite, with 150 large pitches (from 110 to 200m²) has been welcoming you for almost 30 years in a wooded park crossed by the river Dronne. 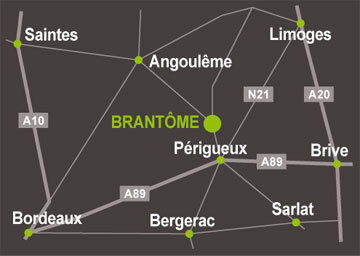 We are located 900 metres from the centre of Brantôme en Périgord, via a secure path. 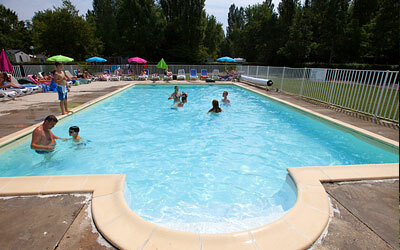 You will fall under the charm of this village with its medieval architecture and which is encircled by water – giving it its nickname of ‘Venice of the Périgord’. 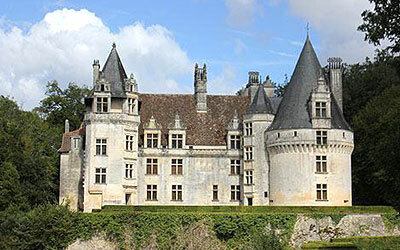 On the edge of the Regional Nature Reserve and jewel of the Périgord Vert, we offer you a unique setting to discover the Dordogne – for lovers of nature (hiking trails), gastronomy (foie gras, truffles, walnut tarts) and culture (museums, the Lascaux and Villars caves, castles). 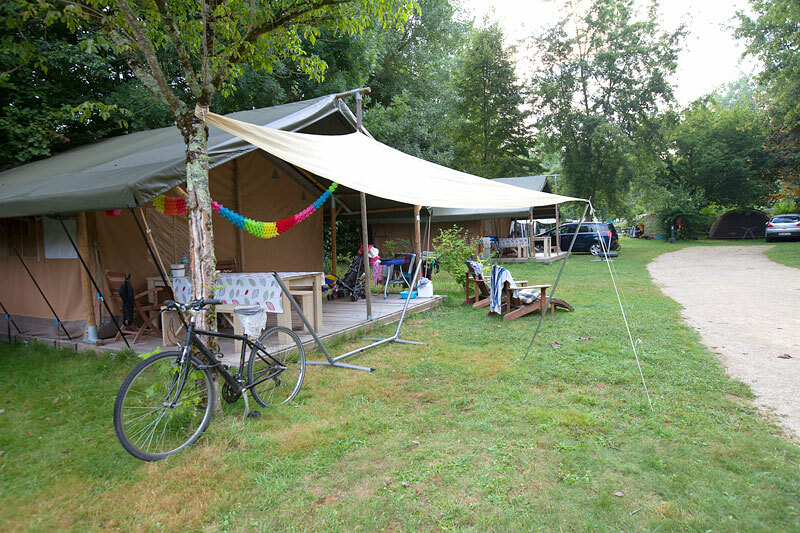 Considered one of the prettiest campsites in the Dordogne, we offer family holidays for children and parents, surrounded by nature and flanked by the river – there will be something for everyone. 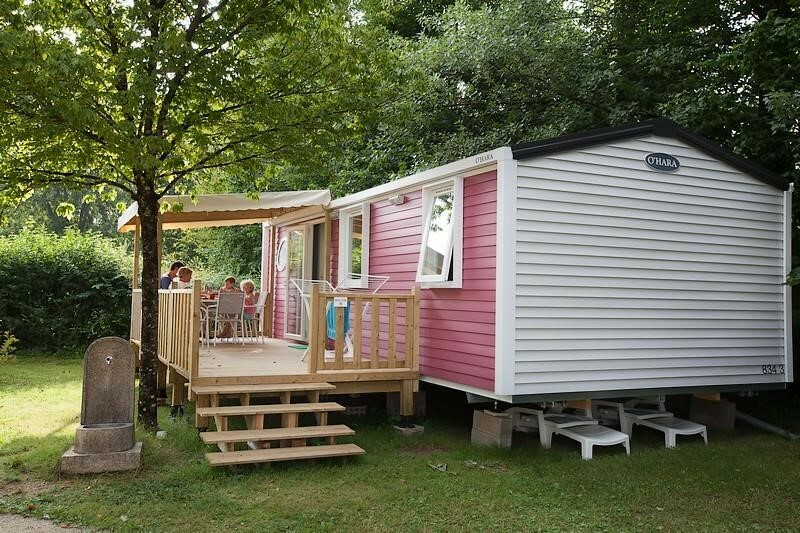 You can enjoy a water park, a white sandy beach, a kids club or simply the shade provided by our trees – the perfect place to do nothing. Two activity leaders will keep your children entertained, from the 2nd week in July until the 3rd week in August. 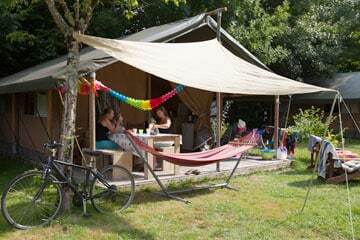 Every day (except Saturday) from 10am to 12pm, and from 2pm to 4pm with – of course – some evening entertainment. 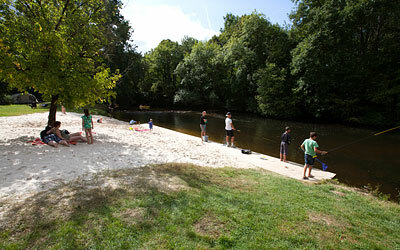 The seaside in the countryside: come and bask on our white sandy beach between two swims in the river. 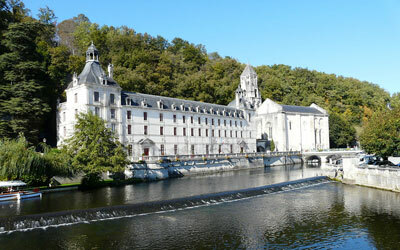 You can use your canoe or other small boat from the pontoon, and go to Brantôme en Périgord and then Bourdeilles if you so fancy. 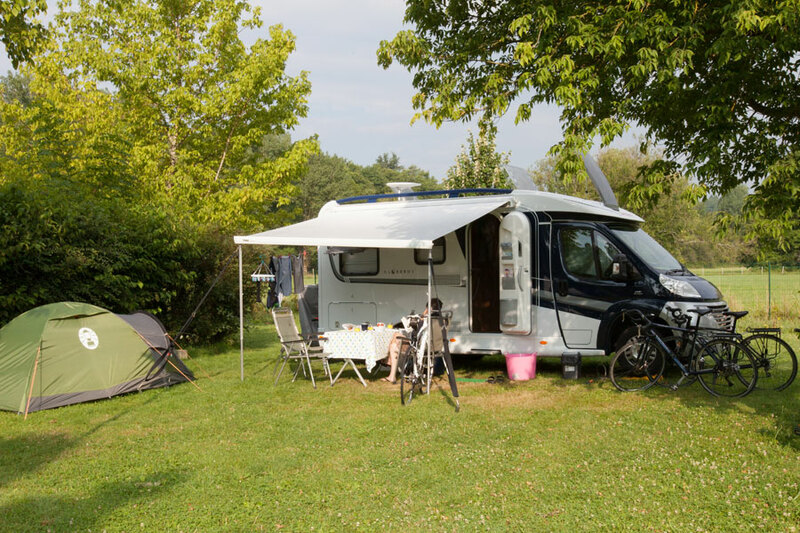 Camping in the Dordogne is an opportunity to explore and travel through time: prehistoric caves, medieval castles, the most beautiful villages in France…you will find all of this around Le Peyrelevade-Brantôme. 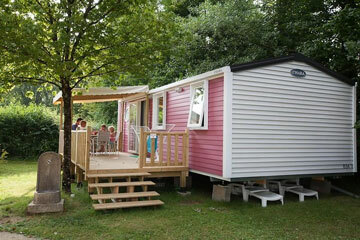 Not forgetting the gastronomy of south-west France, with its foie gras, walnut tarts, confits and wine: we enjoy life in the Dordogne. Around the campsite in the Dordogne: the prettiest villages in France. 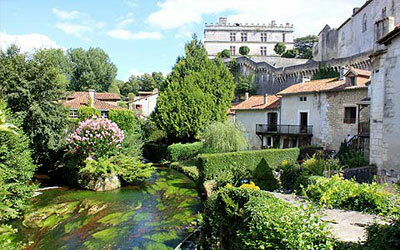 Travel back to the Middle Ages in the Dordogne, the land of castles. 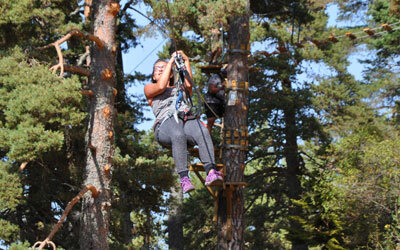 Treetop adventure courses-Canoeing: visit the Dordogne by water or in the air. 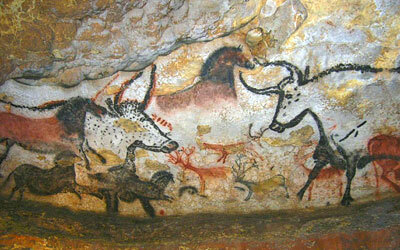 Lascaux cave and Villars cave: leave the campsite to go back to prehistoric times. 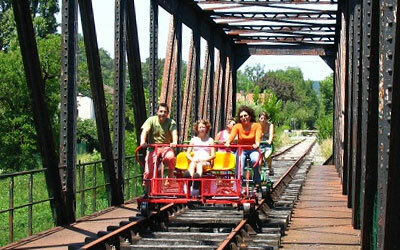 Original and quirky outings: discover the Dordogne from a different angle.